This week I have been exploring the key reasons you want to ensure you are getting good levels of potassium in your diet (https://www.facebook.com/warmlynourished/). Its wonderful to know that this vital mineral is naturally contained in most of the foods we eat. The trick is eating whole foods and not packaged foods which also contain a great deal of sodium. To end this weeks discussion, I am leaving you with one of my favorite recipes, a dip. 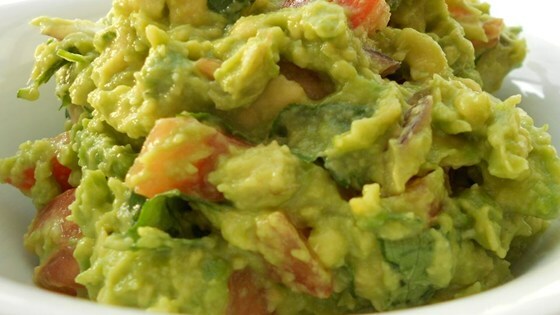 The classic Mexican guacamole – which is made with avocado, a rich source of potassium and to it I add tomato also a good source. The combination is perfect for parties and of course Mexican food night at your place with other homemade Mexican food goodies. I hope you enjoy it! Combine all the ingredients. Can be made a up to 2 days ahead of when needed. Note, you can increase the heat by using hotter chilies like habanero. 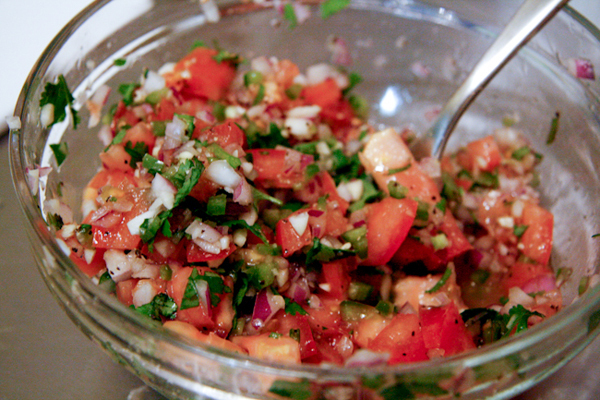 Combine the avocado flesh, lime juice, and salsa. You can do this with a potato masher, mortar and pestle or use your HANDS (best tool). Adjust seasoning according to your taste. Add more salt, lime juice or chilies. Transfer to your serving bowl and add the seed to the centre before covering. The seed helps the avocado from discoloring. Allow to set for 30 minutes or longer to develop flavour.